I’ve been a little MIA as I just spent a week in Mexico! I took time off from the blog to relax on the beach. While I wasn’t posting over here, I shared plenty of looks on instagram! Check out my vacation style here, or start shopping my looks now. Many of the pieces I took on vacay with me are perfect for the spring and summer! The best part? Some of them are currently part of the Shopbop sale! 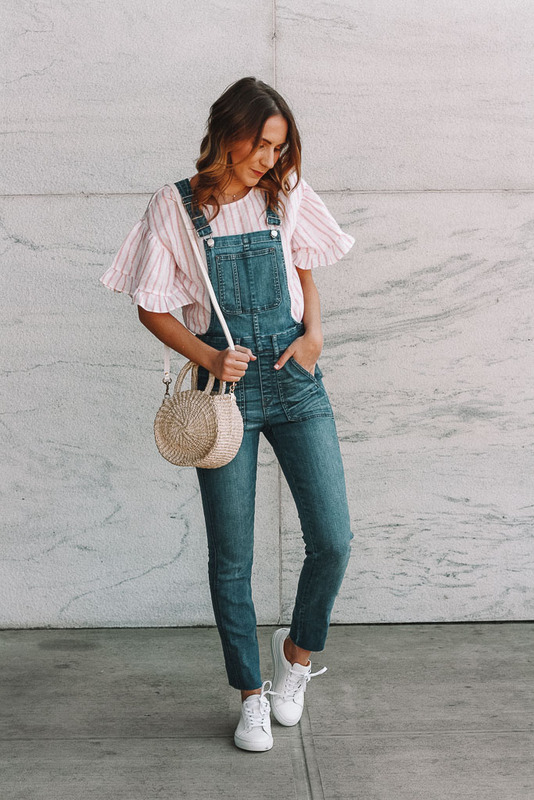 Now is the perfect time to pick up a few new items for spring and summer, or splurge on that designer piece you’ve been eyeing! 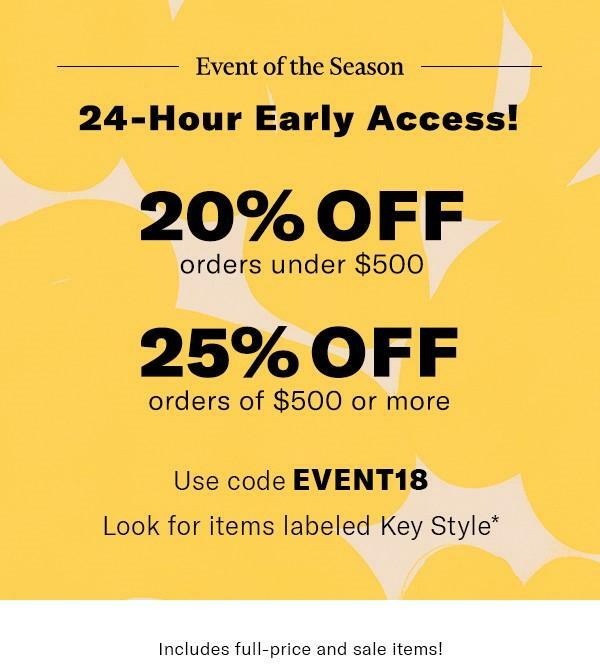 Use the code EVENT18 to get 20% off orders under $500 and 25% off orders of $500 or more. This includes full-price and sale items and even items/brands that NEVER go on sale! 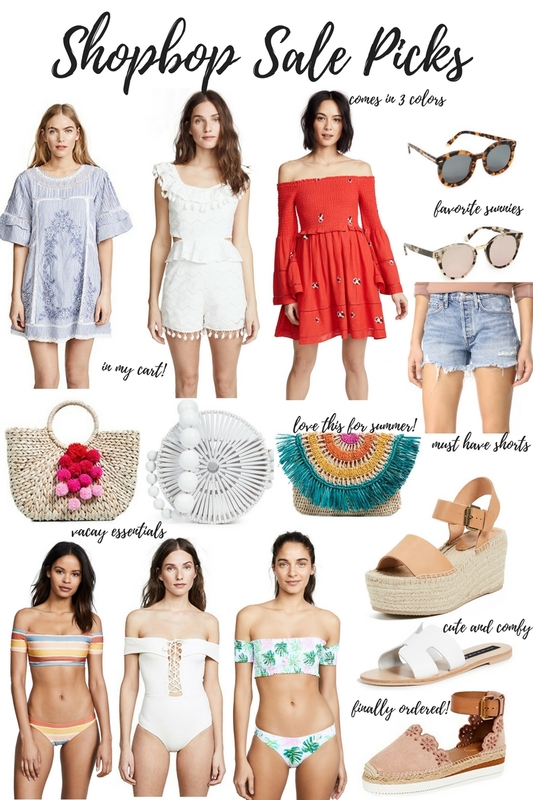 I’ve rounded up a few of my sale must haves, including pieces that just went on vacation with me last week! 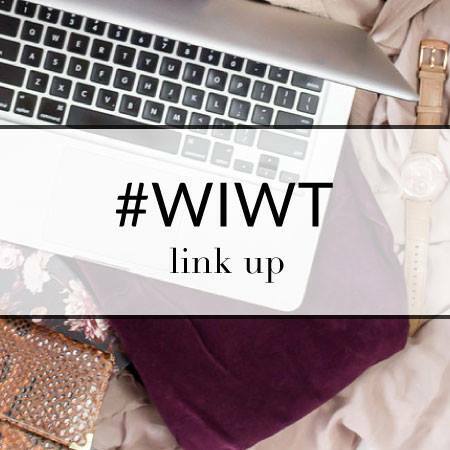 Another month, another monthly round up! Check out the top selling items from March. 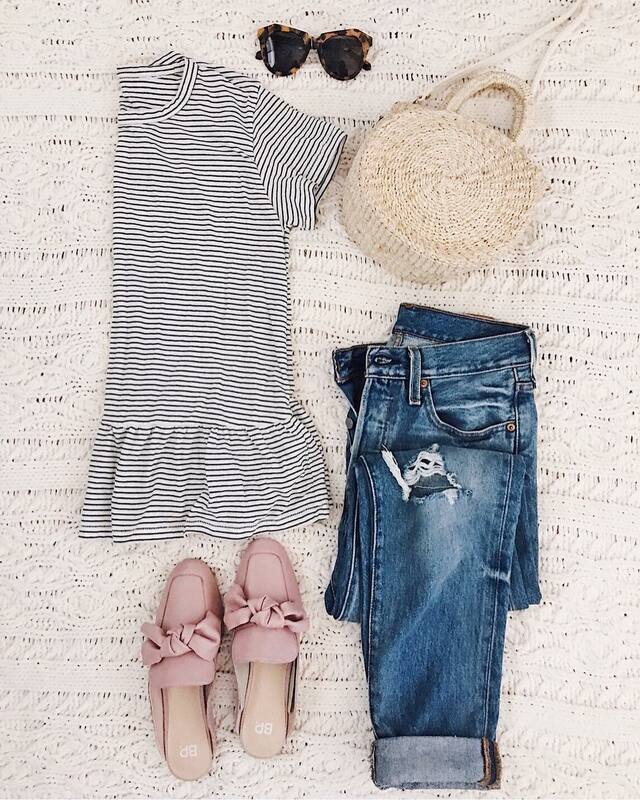 Lots of spring ready pieces that will transition you from spring to summer! Just click the link to shop the product! These sandals are from last year, but the have been restocked for this spring and summer and are better than ever! These were my most worn shoes last year…cute and comfy! This peplum tee is under $40, has a flattering fit and comes in 9 color options! It’s one of my favorite tops to take from work to the weekend because it is so easy to layer! I wore it to work this week with a pair of white skinny jeans and these bow mules (pictured above). I will swap the white jeans out for my favorite distressed pair and have an easy weekend look! 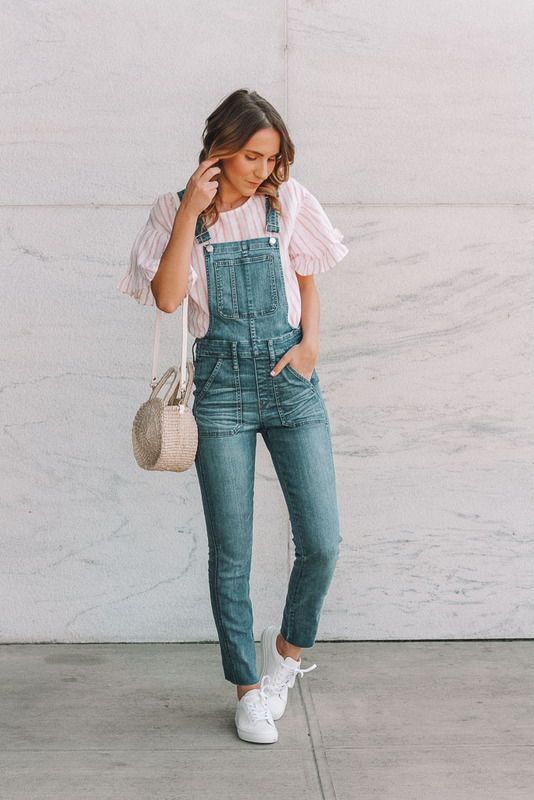 I wear my medium wash Levi’s so frequently, that when I saw this lighter pair, I knew they would be a great option for the warmer months ahead! I love the fit of these and the higher waist…making them perfect for wearing with crop tops! This is a great denim option under $100! See the blog post on this outfit HERE! I love a good babydoll dress this time of year and this one is too cute! The embroidery is even prettier in person and I love the sweet ruffle hem! It comes in a few color options…I’m currently eyeing the yellow! Check out this dupe for half the price! I’ve found the PERFECT spring and summer mule! Teacher friends…these shoes are a must for the classroom! They come in a few different colors, but I love this natural option for the spring! They go with everything! Here is a similar option for just $25! It’s no wonder this dress was a top seller thins month! It’s is SO flattering! It comes in 8 colors and is under $60! I would recommend sizing up (I ordered a small!). With how versatile this piece is, it’s now one of my closet essentials! This sweet little eyelet top is under $50 and also comes in black! It’s such a sweet spring piece and I am shocked that it’s still fully stocked! These shorts are spendy, but definitely worth the splurge! The fit is amazing and I love that they are slightly longer in the back for full booty coverage! The leg is also a little wider, making them SO flattering on! I don’t know about you, but there is nothing that I love more than when I find a great pair of denim shorts! I will be wearing these all spring and summer long! A cozy cardigan is a must all year long and this option is SO soft! I’ve been wearing this one around the house with my pjs (see below!). I love the length, the hood and the fact that it has pockets! And the top seller this month?! These adorable peony pjs! Floral print pjs with a ruffle hem? Yes please! Spring into the new season with sweet and sassy sleepwear! Spring has arrived and I could not be more ready! But just because it’s spring, doesn’t mean that the weather necessarily got the memo! There hasn’t been a magical change in temps, and the weather still hovers just below 50 degrees, but I have put my winter gear away and am not looking back! With spring on the brain, but chilly temps still in the forecast, I’ve been adding lightweight sweaters in pretty shades of neutrals and pastels. I love a good lightweight sweater to pair with denim now and shorts on warmer spring days or summer nights! I always love checking the Halogen section when shopping at Nordstrom. This exclusive brand offers classic pieces with a trendy twist at affordable prices! This twist back sweater jumped out at me when I was browsing Halogen and I added it to my cart immediately. The quality is AMAZING for the price and I love the fun twist back detail! The best part about this sweater is that you can wear a regular bra! That’s right…the back doesn’t show any straps!! It also doesn’t fall off the shoulders and is super comfortable. I’ve worn this cutie multiple ways since picking it up! If pink is not your jam, this sweater comes in 2 other great color options! It’s the perfect piece to transition into warmer weather…check out how I styled it with shorts below! Are you in need of some sweet sweaters to add to your wardrobe for the new season? You are in luck! 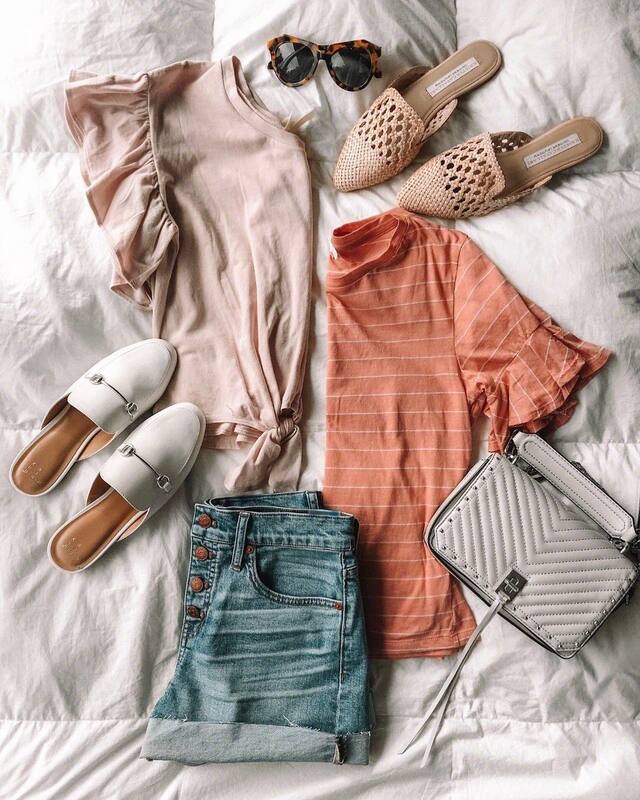 I’m rounding up some of my current favorite neutral and pastel sweaters from Nordstrom! Shop them below!